I'm probably not really going to go shopping for the honeymoon for a while. Something to talk about: Did you buy a "honeymoon" wardrobe? Any advice for honeymoon packing essentials? Currently obsessed with this water. 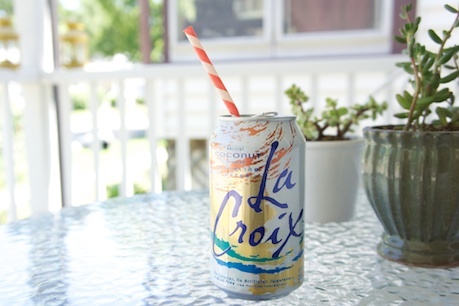 It is so refreshing - you have to give it a try! I'm going on a cruise to Jamaica next week, and I want all of these for myself! That VS cover up is super cute, I might need to pick it up! I'm coming, I'm coming!!!! I want it all! I may have to steal one of those waters tomorrow night to try, I bought some of those bars you gave me! So good.